Mixed messages occur when we communicate two competing ideas. This results in miscommunication and logical conundrums. It is part of life and can often be attributed to our perception of words and actions. For example a female often sees sexual advance of a male as a guy just ‘being nice’ while the male experiences a woman who is just being nice as a ‘sexual advance.’ Clearly this leads to confusion between both parties. There are other cases of mixed messages though, such as where an abuser sends signals of love and hate towards the victim. Keeping them wondering exactly what is needed for love from the person in control. The narcissist creates a double bind in the relationship that is difficult for the victim to recognize and often keeps the victim in the situation far longer than expected. It also happens to the dismay of this on the outside that can readily see the abuse while the victim remains essentially blind to it. In one case the mixed message is a misunderstanding due to personal bias, while the other is a situation where a level of thought control is exerted by one party over another emotionally attached person. There is another category of mixed message in my opinion. The religious one. I think we find components of both concepts in religious mixed messaging. There is definitely a relationship at stake. You are supposed to ‘personally’ know Jesus right? In my discussion with people of differing levels of faith it becomes very clear that how a particular scripture or statement by a trusted leader depends greatly on a person’s point of view. Personally I found these to be great sentiments and appreciated hearing them taught from the pulpit. They addressed concerns I have as I watched my family ostracized from the community due to no longer believing the the prevailing faith. If I had one regret for following truth that lead to the collapse of my shelf it is the effect it eventually had on my children’s friendships when they came to similar conclusions as I did. It’s hard to see your own child treated differently due to not being of the same faith. So that last quote was very meaningful to me personally. What is the whole message? The person that leaves must be sinful to doubt the faith is core to this message. I still have no idea what ‘sin’ I was committing when I realized what I considered spiritual proofs of my own faith were no different than the things Muslims or the FLDS felt or any other religion. Looking at this with brutal honestly I had to consider the reliability of these feelings if they could also cause a teen girl to think it was necessary for her to become polygamous bride to a cult leader like Warren Jeffs. Reading this talk, the mixed messaging of love your neighbor as your equal, but remember how lucky you are to be one of the chosen few was glaringly obvious to me. I think this is because once I stepped out of the grasp religion had on my thoughts I noticed this conflicting communication is rampant in all faiths. Bible says don’t kill, then Nephi is told to kill a drunk guy. Thou shalt not lie, but then Joseph Smith lies about his polygamy and orders a printing press destroyed for exposing it. You don’t even have to leave the bible to find mixed messages. In one verse Jesus says love one another. Then in another he says you need to hate your family to be his disciple. 2 Entire maps of scripture have been put together highlighting the conflicting ideas. I have determined mixed messages come part and parcel with religious faith. But I doubt most believers consciously realize the mixed messages that are being sent because they have been used to it for years.By now it just seems normal to hear such conflicting concepts reinforced. It’s simply the way religion works if you will. In fact I tend more to that explanation than an overt effort to control the thinking of members. Some find it abusive and cult like. I think it is more mild and unintentional myself. Maybe part of the mixed messaging goes the other way, and like the relationship were one person can’t see things the same way the other can is a failing of not listening… That conclusion I reach because of this last quote that stood out to me. Let me see if I can clarify for Elder Ballard that which seems to be so hard for him to understand. I did turn to the scriptures, and the voices of living prophets. But I kept hearing these mixed messages that frankly put never really get answered in way a that builds faith. The answers in the new essays, especially if you do your own research following the footnotes, don’t honestly paint a compelling picture. They come off as weak justifications for some pretty awful things. Or they cause massive contradictions about how things that were doctrinal all of a sudden now aren’t. Like how the living prophets of yesterday like Brigham Young where just a product of their racist generation when they prevented Black people from getting the priesthood? Really? If that leader was off his rocker in his time and place why should I believe the current divisive LGBT rhetoric from leaders today? I did turn to the faithful for answers to my questions. They didn’t have answers. In fact all they had was what you said. Blame to give me for not studying hard enough. I want you to know I was reading the Book of Mormon daily the night my shelf collapsed, prayerfully looking for these answers that every leader says are there. I have yet to find clear and succinct answers. Only contradictory apologetics that put more spin on the facts than a used car salesman. I did everything asked and more before considering the possibility I was wrong and had put my faith in the wrong place. What have you done? Have you read the CES letter? How is it a director of church education can’t answer anything on the list of those items? How is it so much of what is in there is known to so few members of the faith? Why is the answer always my fault for not trying hard enough no matter how hard I try? Can’t you see how self serving such an answer is? You can use that kind of answer to prove you shouldn’t leave any religion. 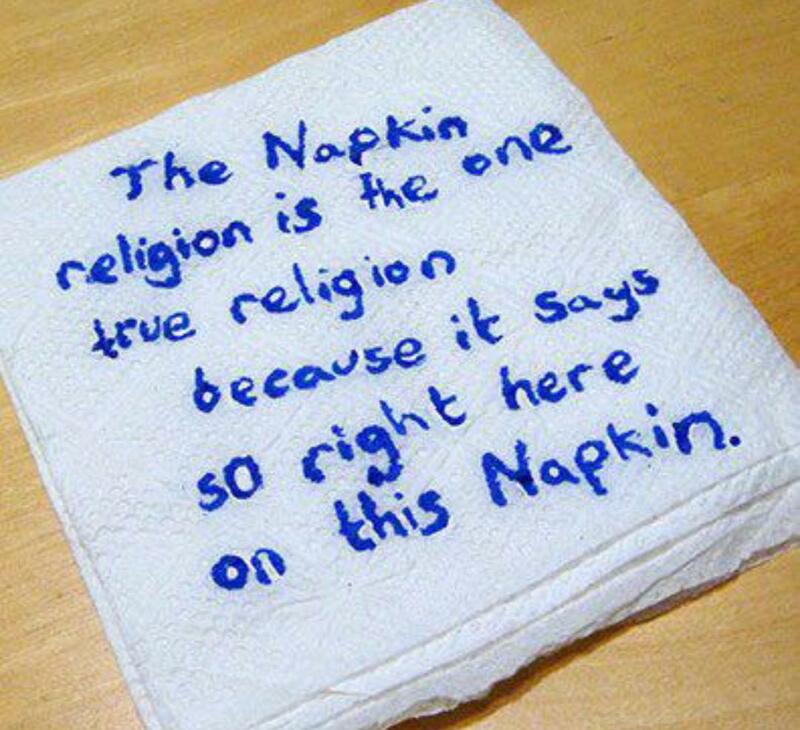 It’s illogical thinking and rests on circular reasoning that in any situation other than testing your own faith is obviously false. Maybe the reason these podcasts and websites you vilify get more attention than the leaders of the church from those that questions is simple. Maybe it’s because these voices that are both somehow evil and to be avoided and yet made by non believers that shouldn’t be avoided but befriended…. Maybe they aren’t sending the mixed messages you have been. I also recently read a quote taped to the refrigerator of a different family member from current LDS prez Thomas Monson that sent a clearly mixed message (pun intended). In two paragraphs, it said multiple times that members should focus only on what was important–without coming right out and identifying what that is. Is it family (my guess)? Is it The Gospel(tm)? Is it attending church meetings? Paying tithing? Serving others? There is no right answer because members are in the Double Bind. Exactly my sentiments!!!!!!! Thank you.